The mainstream media is going into overdrive to try and justify the police killing of 20-year-old Rashan Charles. The story seems to go like this – he was a drug dealer so what did he expect. We had the same concocted story when the police killed Edson da Costa a few weeks ago. We had the same story when they executed Mark Duggan in August 2011; this year is the sixth anniversary of Mark’s death and it will be marked by a protest in Tottenham on 5th August. The London Evening Standard is running a story today with a still from CCTV claiming it shows Rashan swallowing a package. But even if this interpretation is accurate, since when did the police in this country get the right to be judge, jury and executioner on our streets? Rash was much-liked in the community and tonight’s protest will be well attended for that reason. 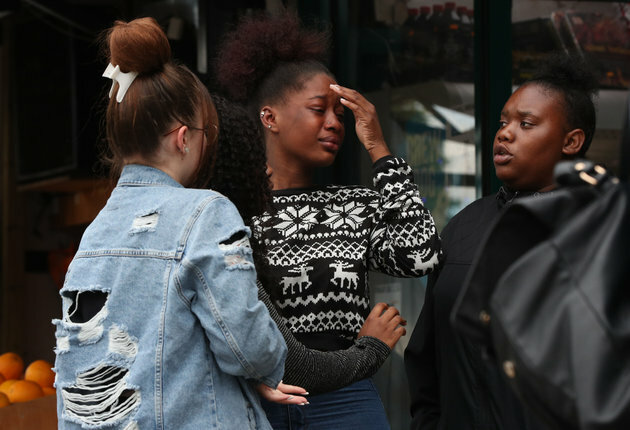 Anger is growing at the police’s callous disregard for the lives of young black men in London. No police officer has as yet been suspended let alone charged. Is the Met police importing the tactics deployed by the militarised police of the US where their ‘war on drugs’ has led to daily killings of black people and a massive increase in the prison population from 300,000 in the 1980s to over two million today, despite there being no significant increase in the crime rate. As in the US, here in the UK drug use is the same across different ethnic groups. In fact it is likely higher among white people. the number of those involved in dealing are similar also. But it is poor black and working class communities that are targeted, not the cocaine users in the City of London or on Wall street. If Rashan had swallowed something, putting him in a headlock and strangling him is not going to retrieve the alleged package. Neither is the full weight of a policeman kneeling on his back likely to ‘help’, in fact it probably had a direct bearing on his death, as did the strangulation. One thing though is crystal clear from Saturday’s police killing: when people in the community see the police arresting someone, intervention is a necessity. It might save someone’s life. If the police think they can act with impunity because of the cover-ups of the IPCC, then they will continue to do precisely that. Given the mounting death toll, we have no choice but to start to police the police. Tonight’s protest is a start. If there is no justice for Rash and all the other dead then there will be hell to pay. As Martin Luther King – ‘a riot is the voice of the unheard’. No justice, no peace. Justice for Rash!